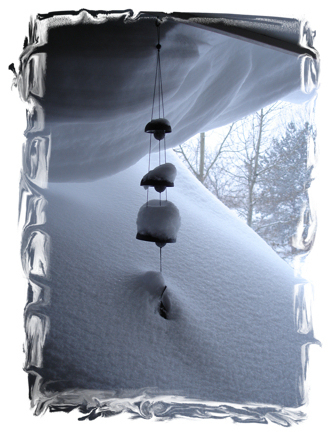 That drift hanging over the eve has crashed down several times during the night with a deep thud. Such noises, like Summer thunder, get Jasmine’s attention and she barks to alert the house. 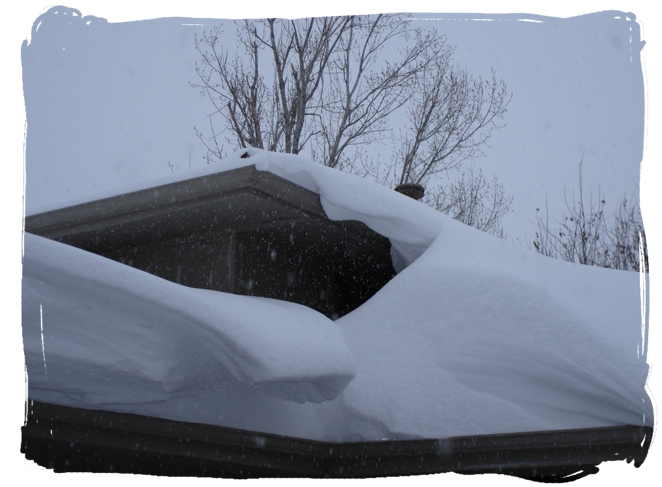 This also means that the snow just outside the garage has been well packed by both the wind and the falling drift from the roof. 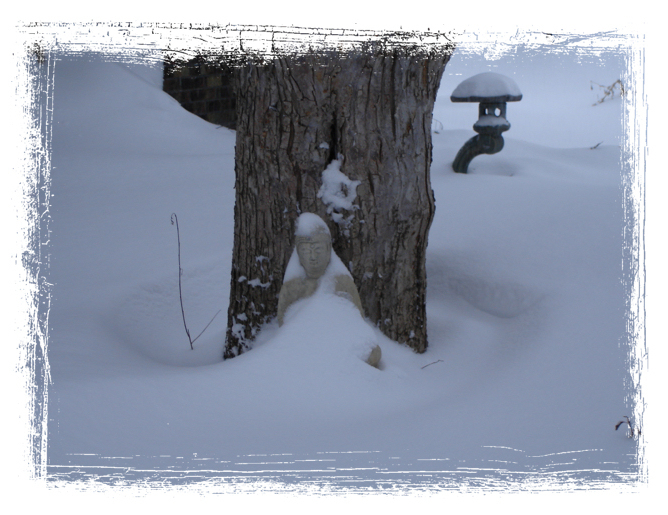 The final link in all this is that I have to chisel my way out when clearing the driveway. Sure enough. 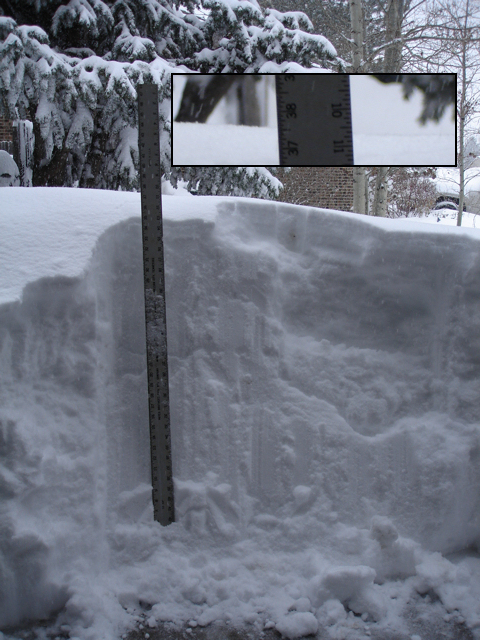 The ruler is showing 37.5 inches of hard packed snow.